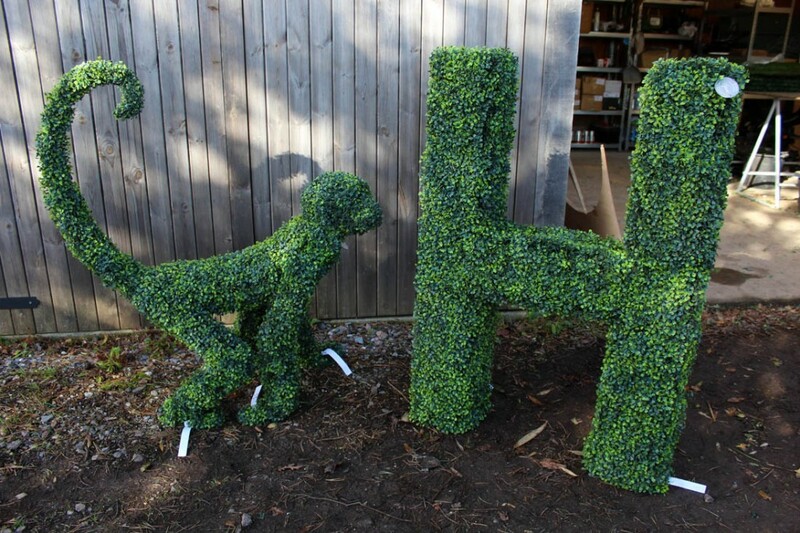 Home » Blog » Case Study » Did you know that Agrumi exports topiary to America? We’re broadening our horizons as the Agrumi name increasingly gets checked internationally as well as UK-wide. 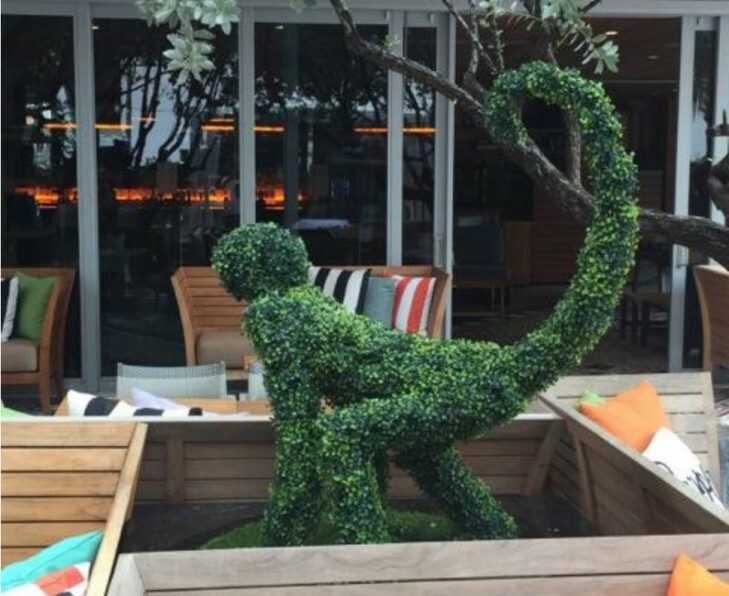 Recent States-side commissions include this cheeky monkey and letter ‘H’ for the Hyde Beach consortium at the SLS hotel in Miami. Celebrated for their energy, style and effortless ‘cool’ in Los Angeles and Las Vegas, South Beach is the new outlet for the company’s offer of mixology, music and fantastic food with pool and beach access. Hyde Beach chose Agrumi bespoke topiary to enhance their indoor/outdoor space with a little English style. Other recent U.S. projects include the word ‘Almanak’ in topiary for the eponymous pavilion at the new Nordic-themed Great Northern Food Hall in New York. This 5,000 square foot space at Grand Central Station is the brainchild of celebrity chef Claus Meyer (co-founder of Noma). The Kentucky Derby is the U.S. equivalent of Ascot and millinery is just as important there as it is here. The drink of choice tends to be rum or bourbon rather than champagne though. Agrumi was asked to make a topiary Bacardi bottle for this year’s Derby – a prestigious commission for a prestigious event!